How does the filmmaking industry keep up with the increasingly digitised world? 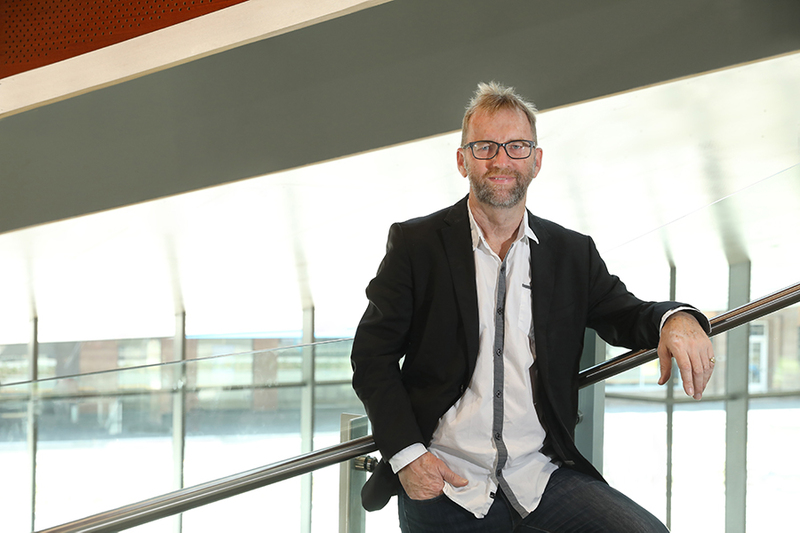 That is what Dr Simon Weaving is examining through his research into virtual reality filmmaking and efforts to keep the cinema industry relevant in light of the increasing popularity of television streaming services. Australia has highest cinema ticket prices in the world but also has the second highest per capita rate of cinema consumption, so there’s no doubt that as a whole Australians love movies. But dig a little deeper into the statistics and you find some worrying trends. “My background is in filmmaking and what I’ve discovered since becoming a film academic is that there is very little research done on this industry,” Dr Weaving said. “It’s one of those businesses where people mostly go by gut feeling and there’s not a lot of emphasis on deep research. My aim is to change that by developing a research network with key organisations within the Australian film industry. It’s an exciting initiative and one that I hope will create a research agenda that is really industry focused and will help solve the problem of the moment, which is when you can buy a ten dollar a month subscription service, why go to the cinema?” Dr Weaving asked. Dr Weaving says that the unique features of going to a cinema are not being experienced by the younger generation who are more likely to ‘Netflix and chill’ on a Friday night than venture out to the local ‘flicks’. Dr Weaving is working with the lead players in the Australian film industry to shape a research agenda that delves into the challenges facing the industry today. “One of the key things we are going to do is map the customer journey so the industry players understand that the customer is not just thinking ‘what movie do I want to go to and where is it on’; it’s much more involved than that,” Dr Weaving said. Dr Weaving’s network plans to use Newcastle as a test bed for detailed market research with test audiences, questioning their attitudes and conducting focus groups to understand how they perceive cinema and to provide an alternative way of understanding the user experience. Emerging technology such as virtual reality is having an impact on the film industry and raises never before asked questions such as ‘how do you write a script for virtual reality when the audience is immersed in the scenario’ and ‘how do you direct for virtual reality when you can’t be on the set’? It’s these types of questions Dr Weaving set out to answer in his virtual reality filmmaking research project that saw him create a movie called Entangled. He says it was a fascinating experience that presented many challenges. “All the traditional filmmaking rules change when you’re using virtual reality.Firstly you’ve got to work out why you’re making something with virtual reality - a lot of the VR movies I’ve seen are better suited to traditional filmmaking. Virtual reality is to do with total immersiveness. When the viewer puts on the headset they’re in the middle of your film and they can look wherever they want, you can’t control where the viewers gaze is going to be. In traditional filmmaking you can say I want you to look at this small detail or look at this wide shot, but in virtual reality this story-telling control disappears but is replaced with this wonderful ability to immerse someone in a more sensory way,” Dr Weaving said. Dr Weaving documented his experience of making the virtual reality film and will use this research to write a journal article on the emerging industry. Traditionally movies that are close to being finished are shown to test audiences who then fill out a questionnaire giving their impressions of the movie. Dr Weaving and his colleague Dr Marc Adam from the University of Newcastle are pioneering a significantly more scientific way to test audience reactions to films. “We monitor the audience’s neurophysiology while they are watching the film, and use this data to help determine the audience’s emotional state. We can then compare this data to what the film maker was intending the audience to feel,” Dr Weaving said. The duo recently piloted this process with a Hollywood short filmmaker who had a high-budget action short-film in postproduction. Dr Weaving has produced two publications from this research and is aiming to apply for funding to expand the research further onto a larger test group and longer film.